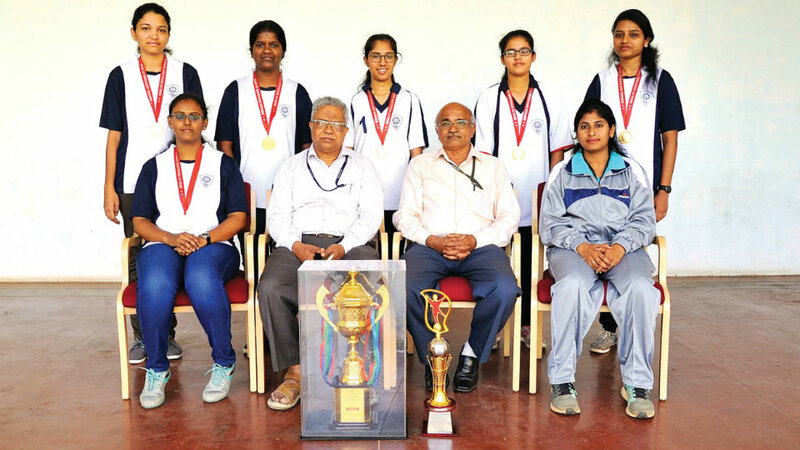 The women’s chess team of NIE won the Mysuru City Inter-Collegiate Chess Championships 2017-18 by scoring 9 points out of possible 12 points. The Championship was organised by Onkarmal Somani Teachers Institute, Mysuru, at St. Philomina’s College in city recently. Seen in the picture are (from left – sitting) Sindhu S. Rao (Captain), Principal Dr. G. Ravi, PE Director H.N. Shankaranarayana, Asst. PE Director R. Kavya, (standing) B.N. Gangamma, J. Madhurya, Nagavarshini, Chinmai and L. Rohini.